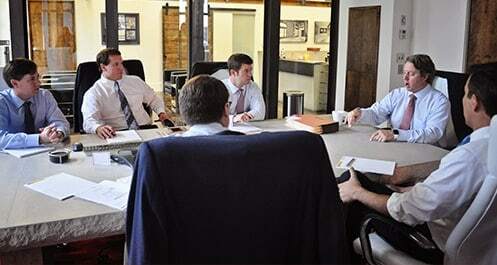 The Birmingham motorcycle accident attorneys at Hollis, Wright, Clay & Vail, P.C. share your love of the open road. We are dedicated to working hard each and every day to protect the rights of those who wish to operate or ride a motorcycle in or around Birmingham, Alabama, or anywhere in the state. If you or a loved one has been injured or killed in a motorcycle accident that was caused by another vehicle, then please call the attorneys who ride themselves. We are heavily involved in promoting and preserving the rights of riders and will pursue the maximum compensation for fellow riders. For a free initial consultation, contact the Birmingham motorcycle accident attorneys at Hollis, Wright, Clay & Vail, P.C. in Birmingham, Alabama. Please remember that we work on a contingency fee arrangement, so you pay nothing unless we settle or successfully resolve the case on your behalf. According to the Alabama Department of Transportation’s Traffic Crash Facts, the number of accidents involving motorcycles has steadily increased over the last several years. For instance, the statistics show that in 2004, there were roughly 1,500 motorcycle accidents and in 2008, there were just over 2,100 accidents. In 2006, there were 105 fatalities stemming from motorcycle-related accidents. If you operate or ride motorcycles, you simply have to be incredibly cautious and attentive to your surroundings at all times. 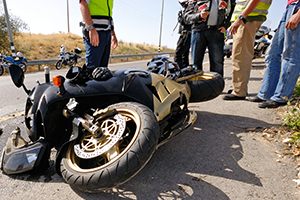 The injuries and damages associated with a motorcycle accident are typically devastating and result in significant permanent injuries to the motorcycle rider. The Birmingham motorcycle accident attorneys at Hollis, Wright, Clay & Vail, P.C. have represented and are currently representing injured victims that sustained catastrophic and life-altering injuries, including spinal cord and brain injuries, massive head trauma, facial trauma, orthopedic injuries such as broken arms and legs, herniated disks and road rash. Oftentimes, the motorcycle accident is caused by a careless or inattentive driver of an automobile. Drivers of cars typically feel that they can afford to zone out or be inattentive for a few seconds because the driver or occupants of the car have some level of protection due to the enclosed body of the vehicle. However, motorcycle riders certainly don’t share that luxury! When a driver of a car is inattentive or fails to keep a proper lookout for a smaller motorized unit, like a motorcycle, then accidents happen with devastating consequences. Common causes of accidents involve left hand turns in front of a rider resulting in a T-bone collision, tailgating or riding to closely to a motorcycle up ahead and accidents where the motorcycle rider is in the automobile’s blind spot. It is essential to wear an approved motorcycle helmet whenever you are operating or riding a motorcycle. Also, face shields that do not negatively impact your vision are recommended for facial protection. Our firm has represented several individuals who were not wearing a face shield and sustained significant and permanent facial injuries. There are many manufacturers of protective clothing and gear such as back and chest protectors as well as leg protectors and boots. You should always be well equipped with protective gear any time you are riding a motorcycle. Additionally, make every effort not to ride during poor weather conditions. Rain and wet roads are especially hazardous for motorcycle riders. However, if you are in a situation where the weather is bad and a motorcycle is your only means of transportation, then be extra cautious. A motorcycle operator is required to have a license. An individual is eligible for a license to operate a motor-driven cycle at age 14. A motor-driven cycle is defined as one that has an engine size of 150 cubic centimeters (cc) or less and has a weight limit of 200 pounds or less. In terms of all other motorcycles, an individual has to be age 16 to get a license. Regardless, any motorcycle operator with a license should consider getting professional training. Statistics show that 90 percent of those riders involved in accidents were either self-taught or taught by a friend. Our attorneys and investigators are available to completely and thoroughly investigate all facts and circumstances in an effort to determine the exact cause of your accident. It is often necessary to employ an accident reconstructionist, which is a type of expert who specializes in investigating and reconstructing accidents in order to determine precisely what happened and who was at fault in your situation. We have the resources and routinely hire these types of experts to assist in the prosecution of your case. If you have been injured in a motorcycle accident, then contact us now to protect your legal rights. If the accident was not your fault, then you are entitled to compensation for medical bills, lost wages, pain and suffering, emotional distress, permanent scarring and disfigurement.